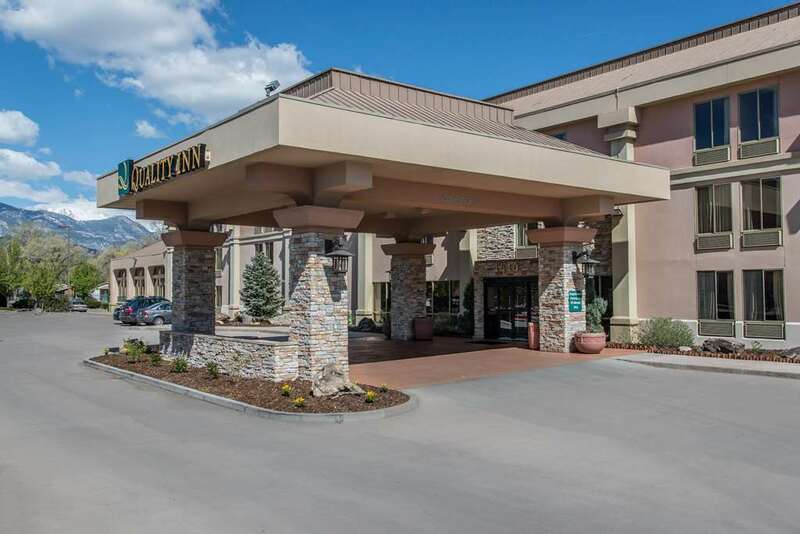 Get more for your hard-earned money at the Quality Inn South hotel in Colorado Springs, CO. We are located off I-25, between downtown Colorado Springs and the Fort Carson Army Installation. The Colorado Springs Municipal Airport is just six miles away, too. Here at our smoke-free hotel, you can enjoy travel-essential amenities like free hot breakfast, free WiFi, a business center, fitness center and indoor heated pool. All inviting guestrooms feature microwaves, refrigerators, coffee makers, hair dryers, TVs, irons and ironing boards. Also, earn rewards including free nights and gift cards with our Choice Privileges Rewards program. Pet accommodation: 30.00 USD per stay and pet. Limit of 3 pets per room. Pet policy: credit card required.